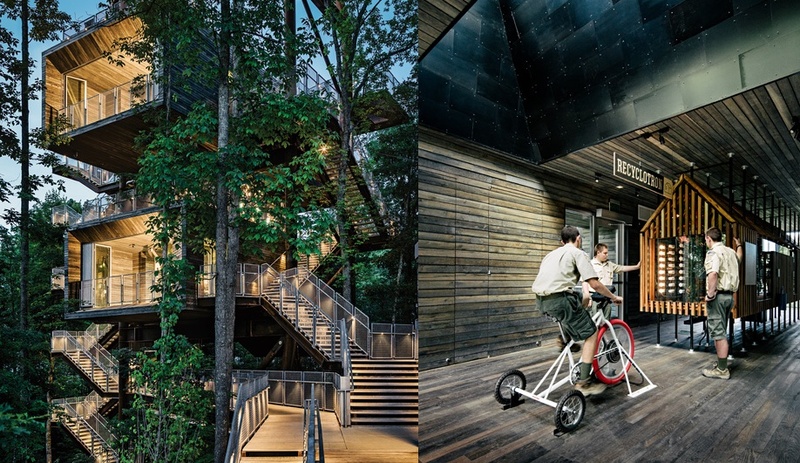 Seattle architecture firm Mithun reaches for the sky with a merit-badge-worthy learning centre and event headquarters for the Boy Scouts of America. 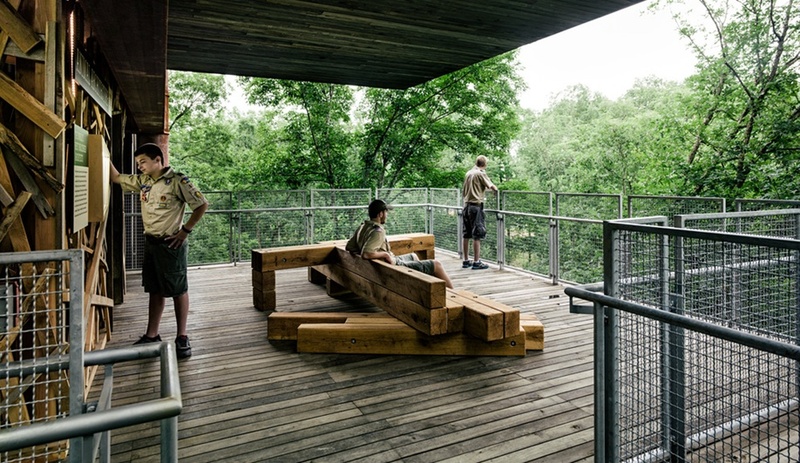 For decades the Boy Scouts has taught American youth the “leave no trace” principle. But recently they’ve raised the bar with a new “make the earth a better place” motto. 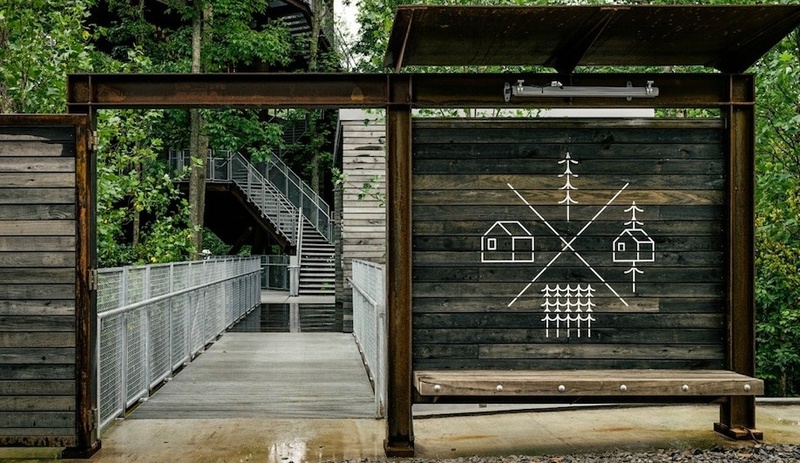 Last year the organization solidified its commitment to the environment with a new sustainability merit badge and an educational centre that acts as a home for the quadrennial National Scout Jamboree. 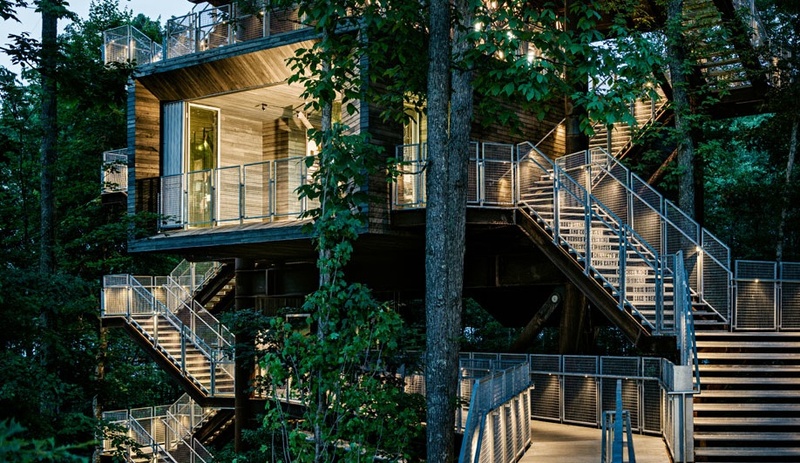 Climbing nearly 40 metres into the tree canopy of the Summit Bechtel Reserve in West Virginia, Mithun‘s Sustainability Treehouse is designed to have minimal impact on the natural surroundings. 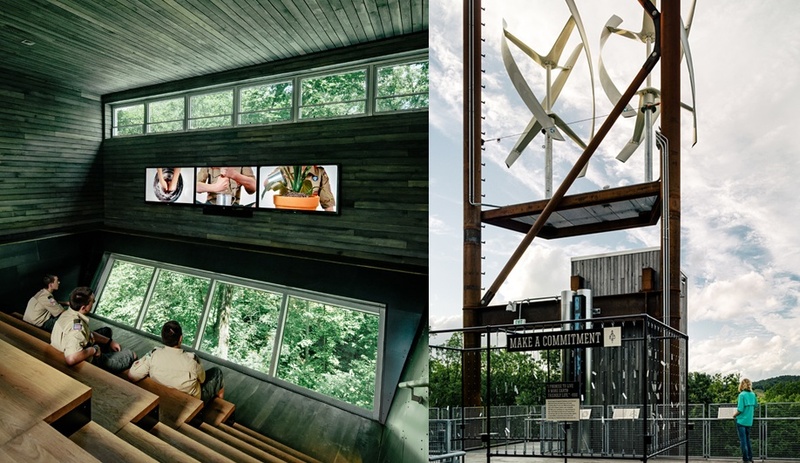 The 550-square-metre, net-zero facility sits above largely undisturbed ground, on a Corten steel frame constructed using recycled materials. 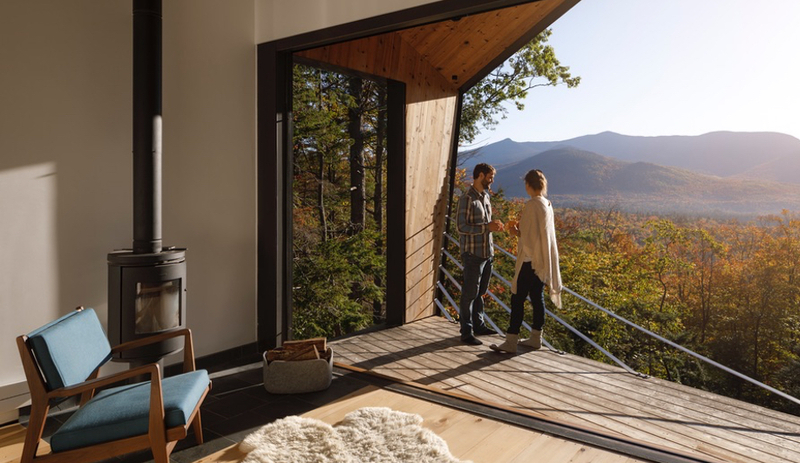 The framing connects indoor and outdoor platforms, where Scouts, troop leaders and parents can observe the constellations and the forest floor and participate in classes on the rooftop. 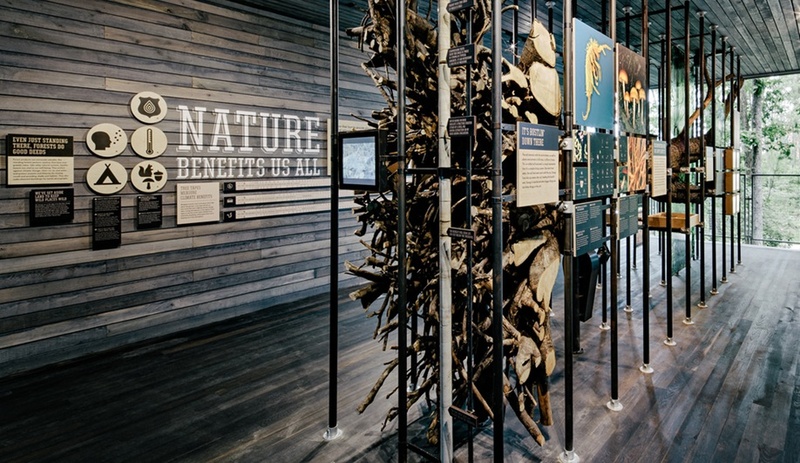 The project displays countless sustainability features, each a functional, interactive demonstration presented simply and with signage explaining the whys and hows. 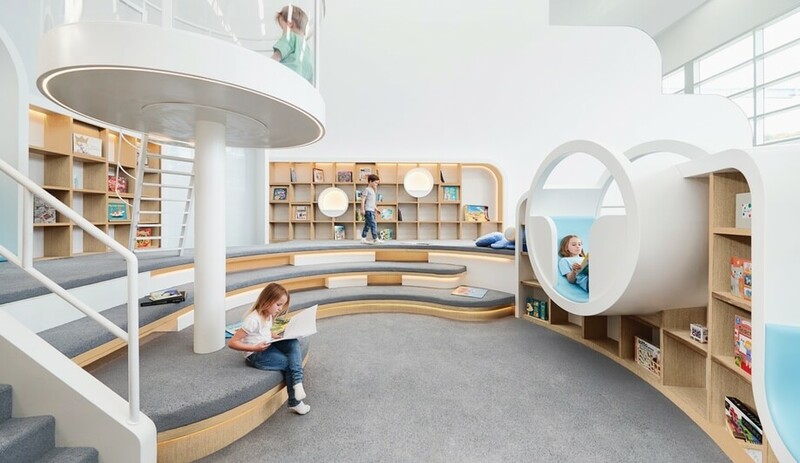 Solar collection and screening, wind turbines, daylight harvesting, natural ventilation, and closed loop rainwater systems are all part of the curriculum. 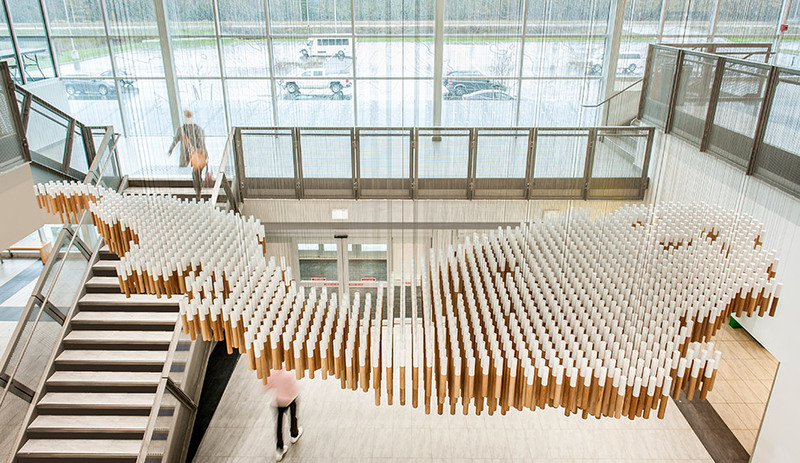 One of the particularly fun exhibits that teach by example is a kinetic ball sculpture that represents energy and water conservation. 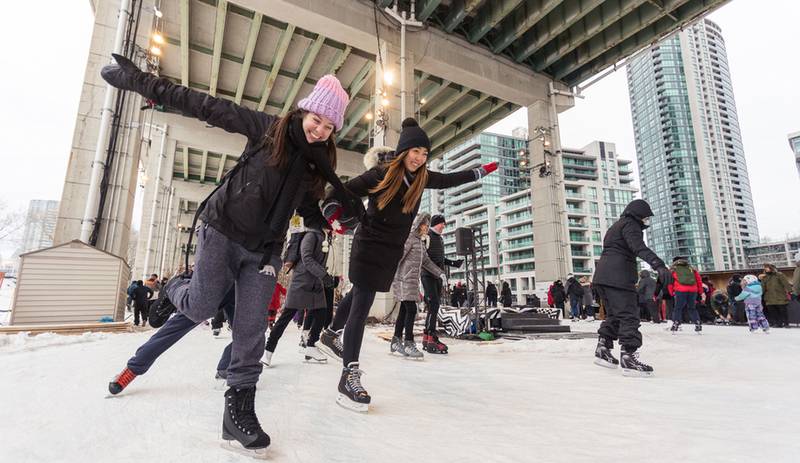 A spinning motion of the balls can be powered by peddling a bike, pumping water or hand-turning a wheel, any of which will also put lights, video screens, fans and a growing mechanical fan into action. 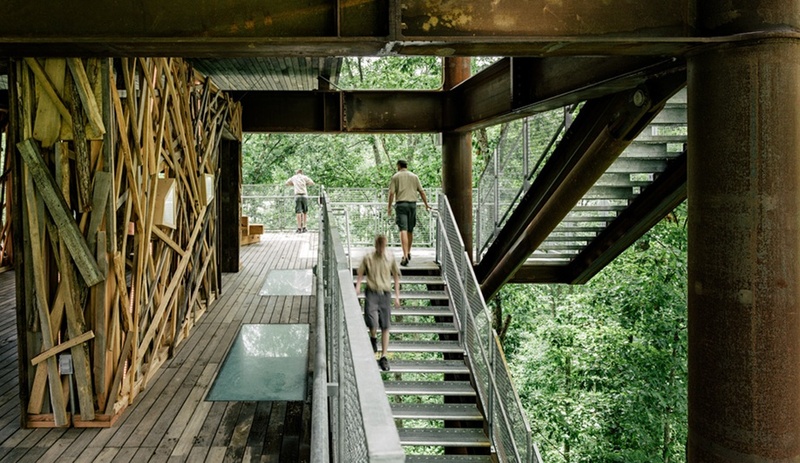 An ideal format for engaging, dynamic learning through exploration of both the building itself and the local flora and fauna, the treehouse’s indoor spaces are flexible, accommodating changing needs without requiring any structural interventions to the building. 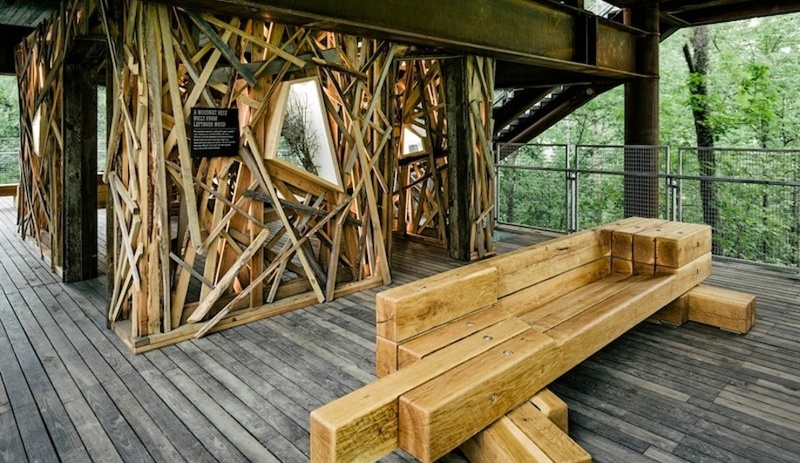 An elevator and a series of bridges that link platforms makes this an accessible tree-climbing experience for all.